DG series of horizontal multistage boiler feed pumps are single suction horizontal multistage centrifugal pumps used for hot clean water or liquid similar to clean water transportation. Working temperature can reach to 150 degree Celsius. DG series of pumps especially apply for low pressure or medium pressure boiler water feeding as boiler water feed pump and also for high pressure water supply. 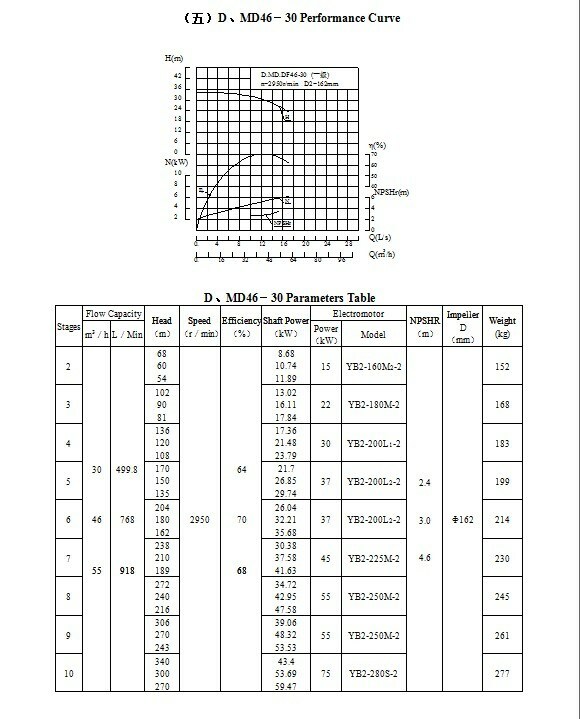 The inlet permit pressure is below 0.6 MPa. The series of DG horizontal multistage boiler feed pump inlet and outlet are all vertical upward. The casings of the pump are suction casing, stage casing(s), discharge casing, which bolted by tie bolts. 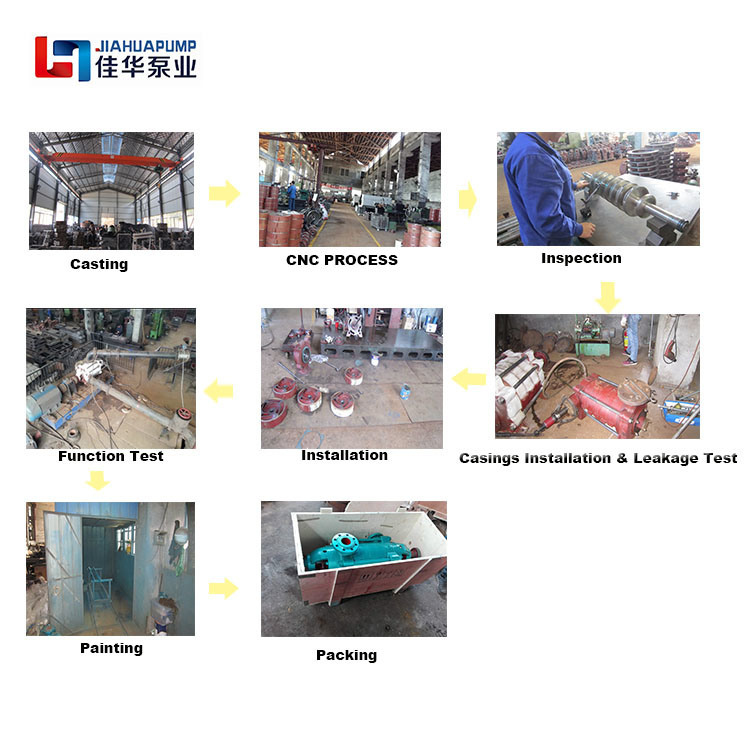 There are two bearing housings, one packing box and other pump stator parts connected with suction casing and discharge casing by bolts. The rotor part is mainly composed of shaft and impeller(s), shaft sleeve, balance disk and other parts. The numbers of the pump stage is the numbers of impeller which is the numbers of stage casings plus one because there is one impeller installed in the discharge casing. The shaft parts use the flat key and the shaft nut fastening to make it integrated with the shaft. In operation, the rotor will move in the axial direction of the pump casing so you cannot use radial ball bearing. The entire rotor is supported by either end rolling bearing or sliding bearing. 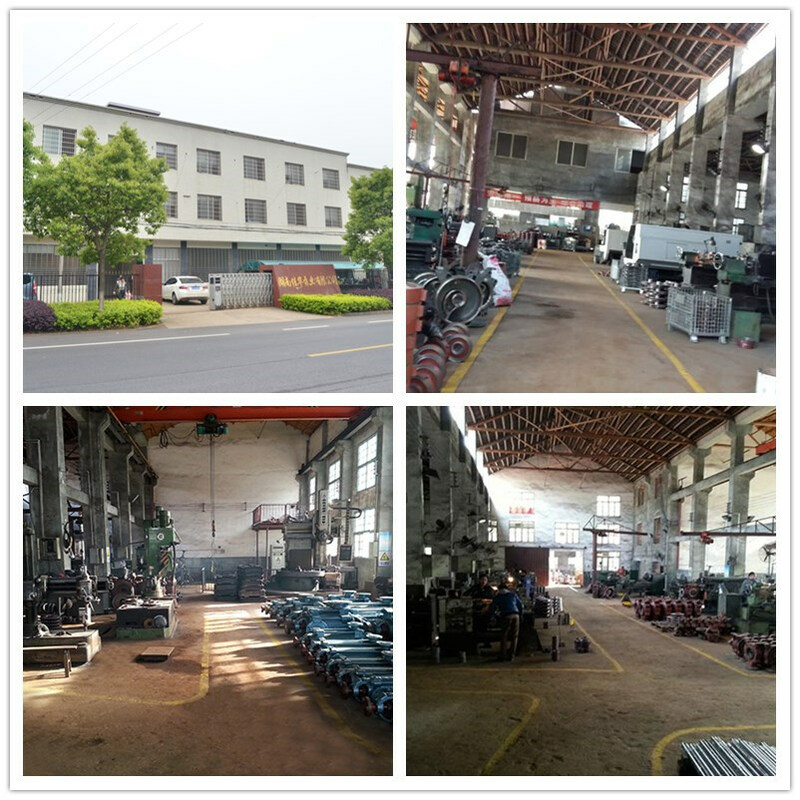 The rolling bearings are lubricated with grease while the sliding bearings are lubricated with thin oil and the oil ring for self-lubricated and the circulating water for cooling. The axial force is balanced by the balancing disk, which is generally made of welded hard surfacing alloy, alloy steel or QT600Mn2 alloy. The balancing disk belongs to the vulnerable parts, and should be replaced in time. During the installation of the suction casing, stage casing and discharge casing, their sealing contact surfaces must be sealed by molybdenum disulfide grease. Between rotor part and stator part is sealed with seal ring, diffuser sleeve etc. Please replace the seal ring and the diffuser sleeve when the abrasion had influence on the performance of the pump work. The seal of shaft has two methods: mechanical seal and packing seal. When the pump adopts packing seal, the placement of the packing ring should be correct, the tightness of the packing must be appropriate, and the liquid can be exuded by drop by drop. By mechanical seal, there is no liquid exuded. All kinds of sealing elements are in the sealed box in which must pass into certain pressure water for water seal, water cooling or water lubrication. The shaft seal is fitted with a replaceable shaft sleeve to protect the shaft of the pump. The main parts of the pump are usually made of high quality cast iron, or cast steel or stainless steel. 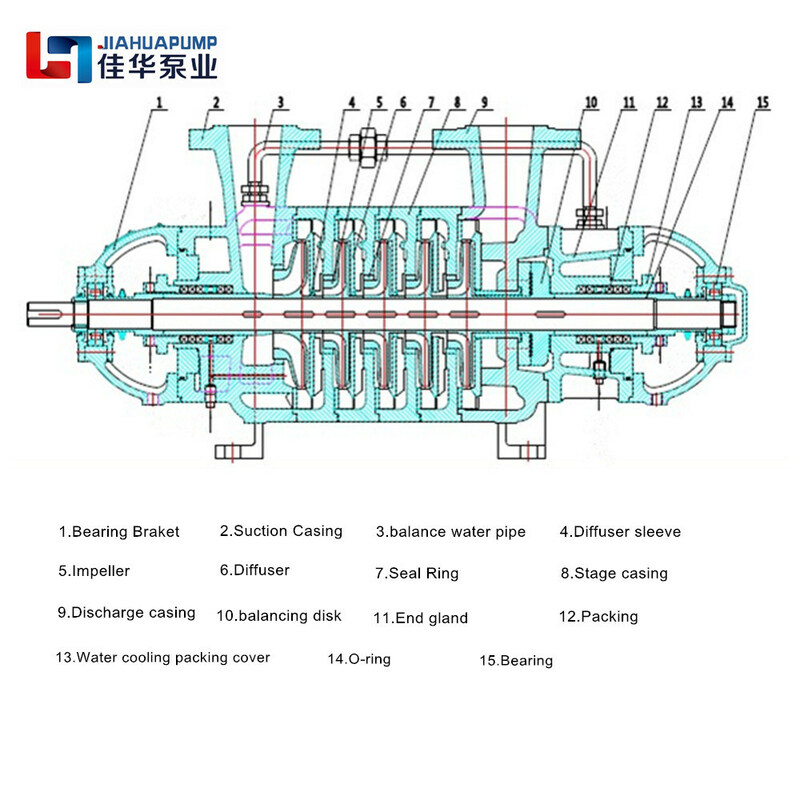 The series DG horizontal multistage boiler feed pump is driven directly by the prime mover through the elastic coupling, and the pump is rotated clockwise from the prime mover direction.